Centre for Environmental Research and Impact Studies in partnership with the Faculty of Geography, University of Bucharest and Society for Urban Ecology – South East Europe Chapter are inviting you to attend the Workshop Nature-Based Solutions for sustainable Romanian cities to be held in Bucharest, May 25th, 2018. 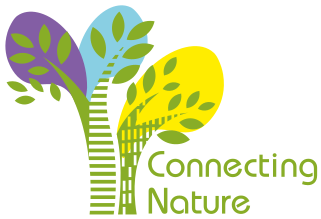 The manifestation if aiming to promote the NBS concept in Romania and represent a platform of debated which will help students of various levels, non-governmental organizations, scientists, public administration, practitioners and other stakeholders exchange experiences in using nature-based solutions as response to various societal challenges. The event is organized in the framework of the project PN-III-P4-ID-PCE-2016-0635 – Nature-based solutions for increasing cities resilience and sustainability. The workshop is a partner event of EU Green Week 2018 which explores ways in which the EU is helping cities to become better places to live and work. Showcasing policy developments on air quality, noise, nature and biodiversity, waste and water management, it will promote participatory approaches to urban development, networking schemes, and tools for sharing best practices, engaging local authorities and citizens, and encouraging them to share their vision of a sustainable future. No fee is required to attend the workshop. Registration deadline – May 20th, 2018.